These bugs are smarter than you think. What’s less well-known is that humans are by no means the first species to figure out some way to cultivate plants and/or animals (or, as we’ll get to in a minute, other organisms) for their benefit. New research led by researchers from James Cook University and Ohio University have discovered the earliest-known example of agriculture – and it was conducted by the humble, often hated termite. Starting in the 1950s, scientists began looking into the relationship between the termites and the fungus, and found that the termites engage in wholly intentional, thoughtful cultivation of their crop. When a young queen first births some workers, the first thing those workers do is head out into the wild to collect fungus spores. The worker termites eat and only partially digest some plant matter before pooping it into the chosen “garden area” as, basically, potting soil. The mushrooms grow rapidly and hugely, sometimes up to a meter in diameter. The termites engage in wholly intentional, thoughtful cultivation of their crop. It’s a strange symbiotic relationship – the mushrooms consume the partially digested plant matter and convert it to sugars, which the termites eat. 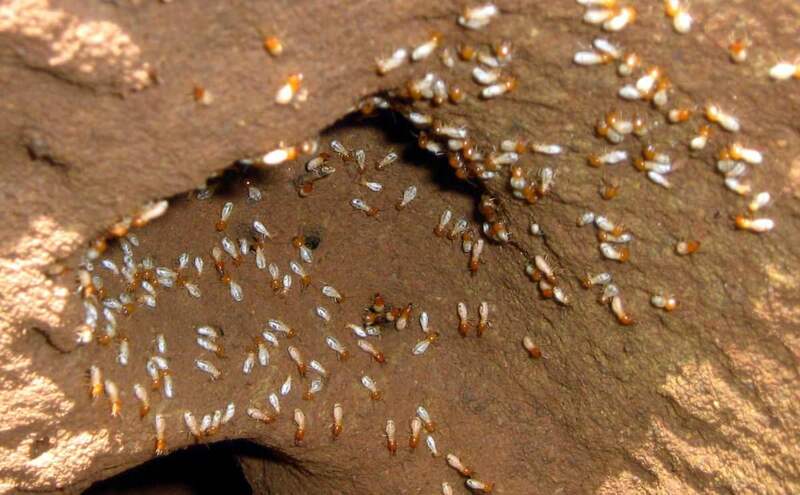 In fact, the termites need the fungus, much like humans today need our farms: The fungus provides water and nutrients in the often-harsh and arid environments in which the termites live. The new research dates some examples of fungus gardening in termite mounds more precisely than ever before: 25 million years ago. And past research has indicated that the fungus farming is fully stable and sustainable. Termites: smarter than you’d think.